As above, we will need to inspect the car and carry out a history and data check. We will then have an open discussion with you about the valuation of the car and together decide on a realistic sale price. At this point we might also suggest additional work which would enable you to achieve the maximum price for your car, for example, professional detailing, wheel refurbishment, fresh service etc. If you then choose to proceed, both you and Chelsea Carrera will sign an agreement detailing the terms of the sale. We will then carry out any agreed work to bring the car up to our high standards before having photographs taken. Your car will be added to our website with a full description and set of detailed photographs. All of our current clients will be subsequently informed about the car and it will also be actively marketed by us on all the popular car websites. Whilst the car is in our care it will be fully insured and kept in our indoor show room at all times. 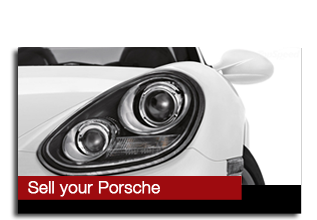 Any test drives will be conducted with a member of the Chelsea Carrera team. When a sale has been agreed the car will not be released until Chelsea Carrera has full payment in cleared funds. The money will then be securely transferred the same day to your designated account. This is a quick and easy way to sell your Porsche. We will need to inspect the vehicle and carry out a data and history check. A price can then be agreed based on the current market value and overall condition of your car. The funds will then be securely transferred the same day to your designated bank account.